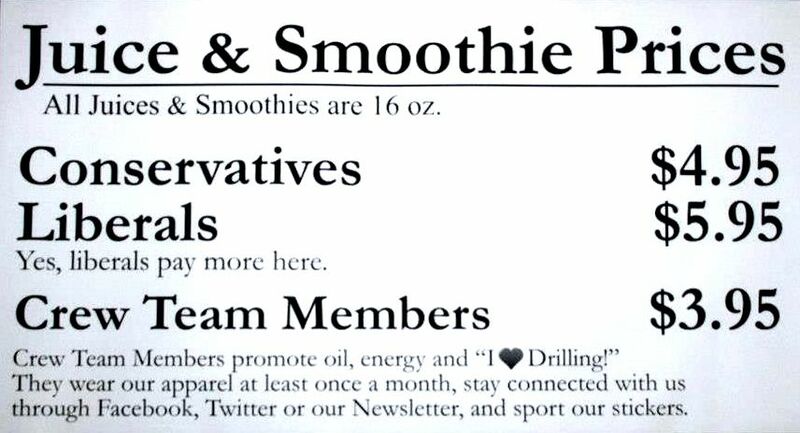 A smoothie shop in Vernal, Utah is sparking outrage over an unorthodox pricing structure that charges liberals an extra dollar. 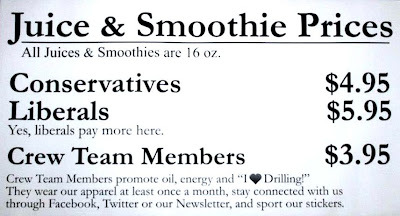 The shop, tellingly named the I Love Drilling Juice and Smoothie Bar, is owned by George Burnett, a pro-oil and gas activist. He donates the extra money to conservative organizations like the Heritage Foundation. The shop's owner claims liberals have been happy to pay the surcharge.